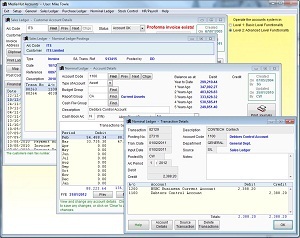 FREE accounting software! Now you can put your accounts on computer, quickly and easily. Our comprehensive yet easy to use accounts software runs on almost any PC running Windows from Windows 95 onwards, including Vista. Suitable for most small to medium sized businesses. Data can be exported to Microsoft Word and Excel. Reports, invoices and statements can be emailed. The software can be upgraded at any time to multi-currency & multi-user.